Some people waste their time searching for tranquility, beauty, and joy while others take a trip to hill stations and find all these and more. No, this isn’t an exaggeration, especially if you are in a city like Coimbatore. The second largest city in Tamil Nadu, Coimbatore is known more for its education and textile industries than its tourist attractions. This doesn’t mean the city lacks in natural beauty. Located in the vicinity of the Eastern Ghats, Coimbatore stands surrounded by lush green mountainous ranges and several picturesque hill stations. Tucked away from the congestion and chaos of city life, these hill stations are scenic paradises in themselves. How about planning your next holiday in one of these enticing destinations? 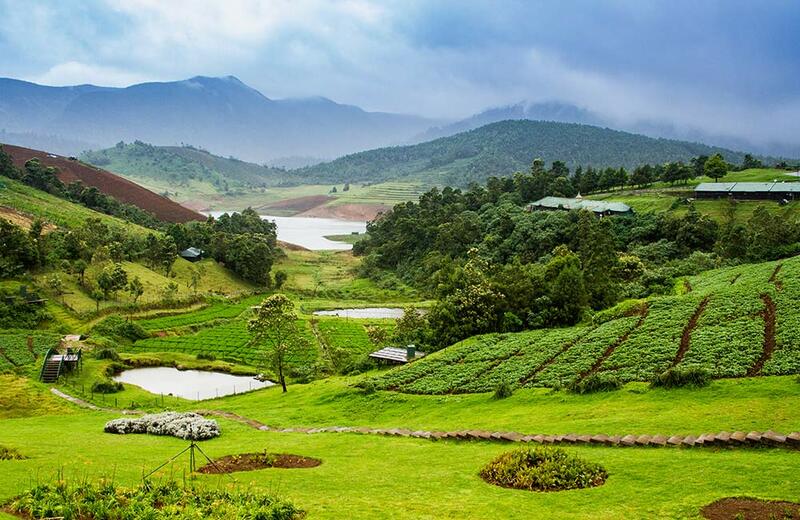 To help you out, we have listed down the most beautiful hill stations near Coimbatore. Read on! 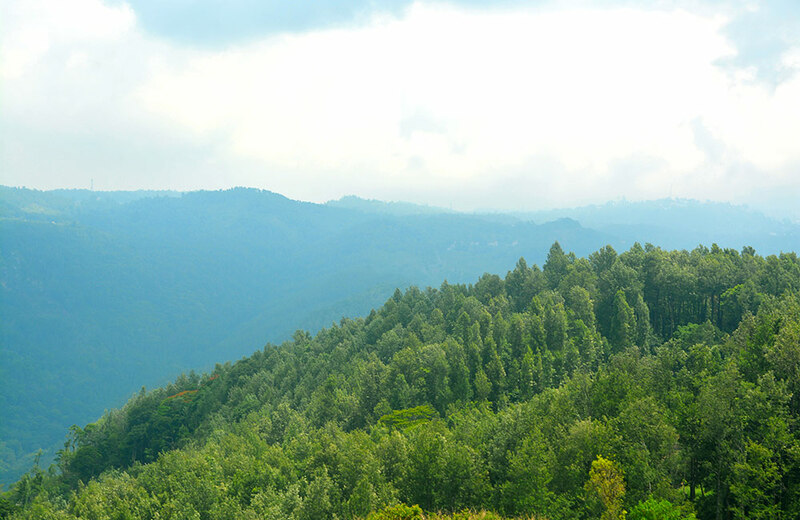 Kotagiri, a sparkling gem nestled in the Nilgiri Ranges, needs no introduction. Surrounded by lush green landscapes and tea estates, it stands at an elevation of around 5,883 feet above sea level. The name Kotagiri means the Mountains of the Kotas, a tribe for whom the Nilgiris have been the traditional abode. As a quintessential summer retreat, Kotagiri offers all that you can expect in a hill station and more. If you are an adventure seeker, you will be thrilled to discover the trekking and rock climbing opportunities at this place. Sprinkled with meadows, rivers, and waterfalls, the spectacular beauty of this hill station makes it a top tourist attraction in the region. The best part is that there are a number of accommodation options available for travelers of all kinds of budgets, including villas, lodges, resorts, and hotels. So you can easily plan a two-day trip to Kotagiri over a weekend and go back as fresh as a daisy! Blessed with matchless natural beauty, Coonoor takes pride in being the second largest hill station adorning the Nilgiri Hills. This hilly terrain delights travelers with its panoramic views of valleys, ravines, waterfalls, and verdant greenery. Standing at an altitude of 6000 feet above sea level, Coonoor is a great summer hideaway and offers you a taste of its colonial legacy amidst amazing scenic beauty. Though a popular tourist spot, Coonoor has escaped the evils of urbanization and has managed to retain its natural appeal. The trekking trails zigzagging through this place will lead you through various picturesque tracks. It is a delight for trekkers to discover varied species of wildflowers and birds while taking trekking expeditions in Coonoor. Among the major attractions of this place are the Sim’s Park, a celebrated Botanical Garden, and the Nilgiri Mountain Railway (Toy Train) ride, which promises you a once-in-a-lifetime experience! Snuggled in the Annamalai mountain range in the Western Ghats, Topslip counts among the top summer retreats in the region. Surrounded by lush green forests, it presents a majestic sight to the visitors. But there’s more to Topslip than its natural beauty that draws travelers to it all year around – it is a place where you can enjoy a thrilling wildlife holiday. Located at an altitude of 800 feet above sea level, Topslip is a part of the protected Indira Gandhi Wildlife Sanctuary. You can go on jeep rides and elephant safaris to discover the flora and fauna that adorn this sanctuary. If you are of a more adventurous nature, you can embark on forest treks during which you might be able to spot a number of big and small wildlife species, including wild elephants, wild boar, deer, sloth bear, and even the majestic tiger. Sounds like a really wild and interesting holiday, doesn’t it? 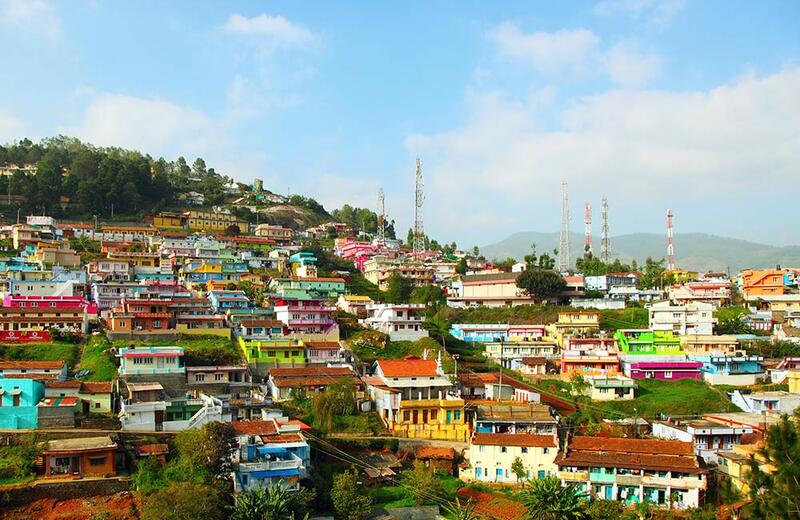 Tagged as the Queen of Hill Stations, Ooty is every mountain lover’s dream come true. The quaint town is a part of the Nilgiri Mountains and extends an allure that is unique to it. 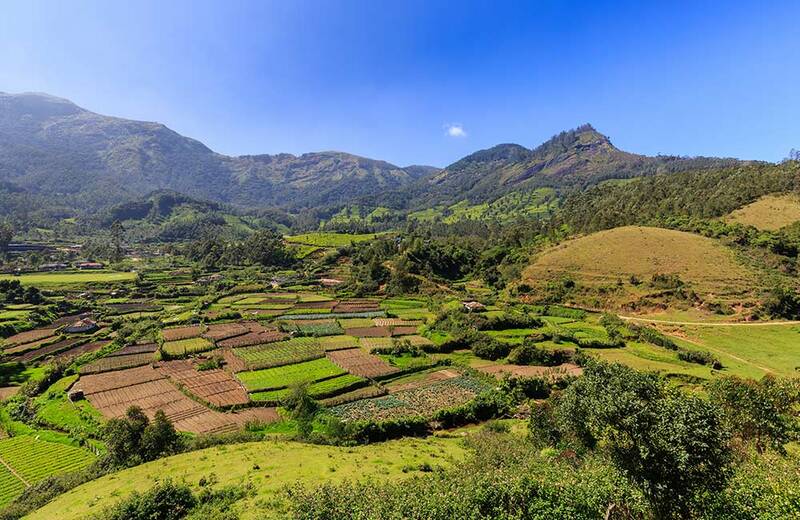 Once a preferred summer hideaway of the East India Company, Ooty has held on to its colonial charm over the decades, which has earned it a place among the top hill stations around Coimbatore. An ideal place to relax and unwind, Ooty is dotted with gorgeous sights and natural splendors. As you pass through its winding roads, you will come across gurgling waterfalls, lush green tea gardens, rolling hills, and luxuriant valleys while a generous sprinkling of colonial architecture here and there further enhances its beauty. 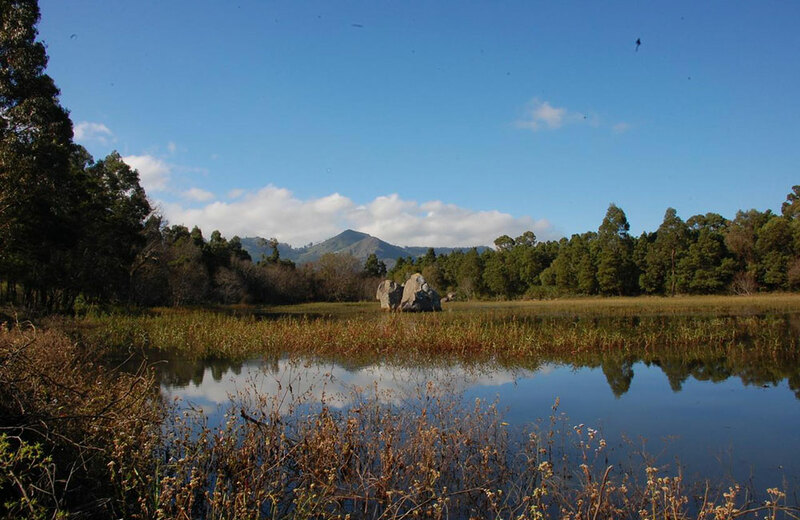 While you are here, don’t forget to visit some of the most popular lakes in Ooty. That’s not all! There’s no dearth of options if you want to explore the tourist destinations in and around the town. Read our blog on the 3-day vacation to Ooty for some great sightseeing ideas. Offering a perfect escape from the heat and pollution of the buzzing cities, Ooty infuses you with fresh energy and vigor. Surrounded by evergreen forests, Valparai is a picturesque hill station located in the Annamalai Hill Range of the Western Ghats. It stands at an altitude of 3500 feet and is a pollution-free haven for tourists and wildlife enthusiasts. 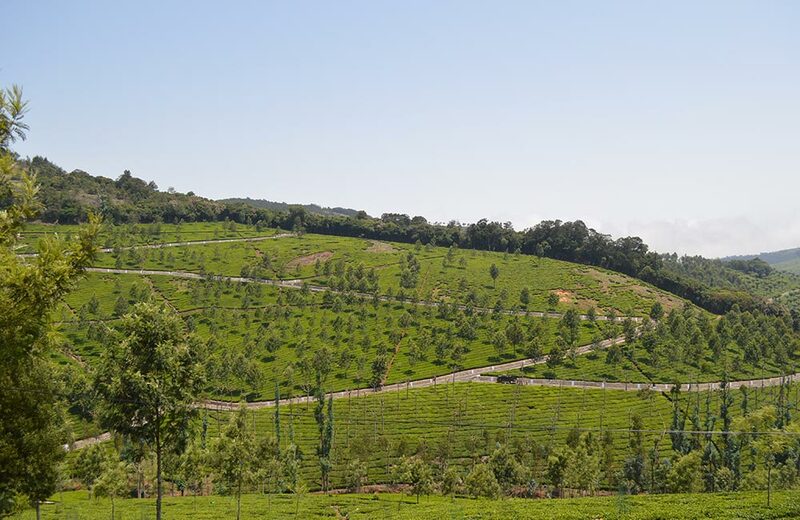 Valparai is known for its tea, coffee, and spice plantations. As you drive down the mountain roads, you will chance upon many plantation estates. 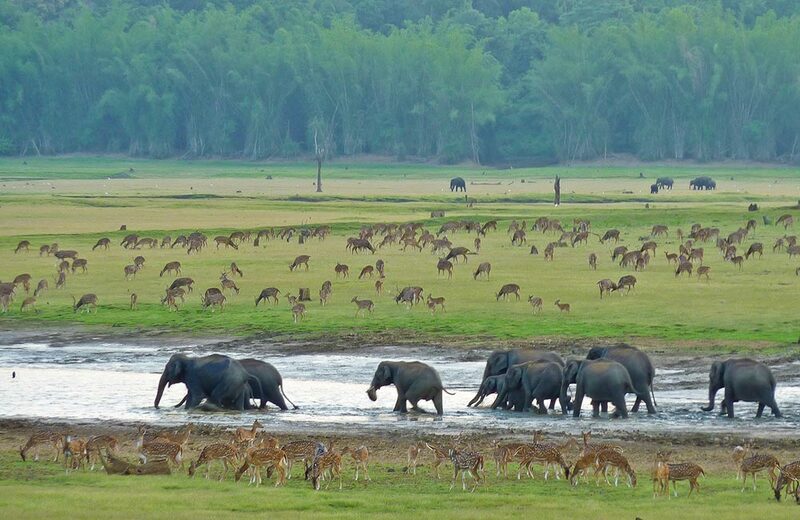 The forests of this majestic land are home to a number of wildlife species like boars, langur, leopards, deer, and other wild animals. This region is popular as an elephant track and if you are adventurous enough, you can spot these gorgeous animals making their way through the forests. With so much to experience and discover, it’s not a surprise that Valparai witnesses a steady stream of visitors all year around. 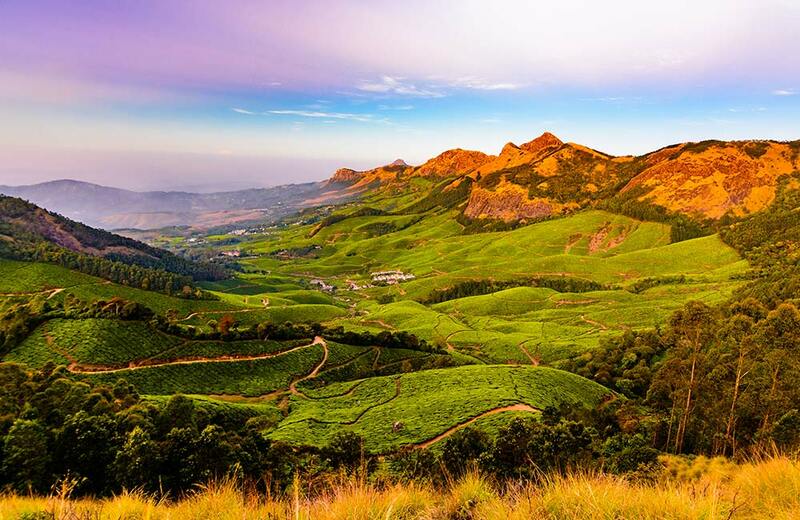 Known as the Kashmir of South India, Munnar is an idyllic hill station adorned with luxuriant greenery that seems to envelop it from all sides. Located in the Western Ghats, Munnar stands at the confluence of three mountain streams- Mudhirapuzha, Nallathanni, and Kundaly. And that’s what the name Munnar means too – three streams! Sprawling tea estates, winding roads, and picturesque scenes define the majestic beauty of this hilly land. You can get a glimpse of exotic flora and fauna that exist in the surrounding forests and grasslands. What’s more, Munnar is best known as the place where the rare Neelakurinji flower makes an appearance every 12 years and covers the hills in blue. Another major attraction of this hill station is the Eravikulam National Park, which houses the endangered Nilgiri Tahr. 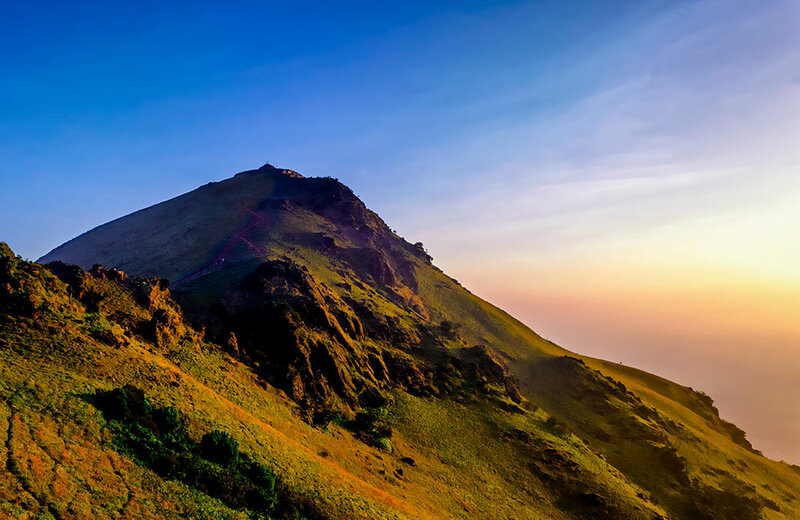 You can also take a trip to Anamudi peak, the highest peak in South India, which also makes for a fine trekking destination. A dainty hilly town situated at an altitude of 5900 feet above sea level, Devikulam is one of the most sought-after hill stations in Kerala. The name Devikulam is a merger of two words – Devi (meaning goddess) and Kulam (meaning pond). Legend has it that Lord Rama’s wife, Sita, had bathed in the waters of the Devikulam Lake. As such, the lake came to be known as Sita Devi Lake and has become one of the main attractions in the region. Tourists flock to this lake not just because it is considered sacred but also because the mineral waters of the lake are known to have healing powers. Apart from the mythical lake, the hill station boasts of a number of waterfalls, rolling hills, and tea and spice plantations. The misty paradise called Kodaikanal is often referred to as the Princess of Hill Stations and is among the most visited summer retreats near Coimbatore. 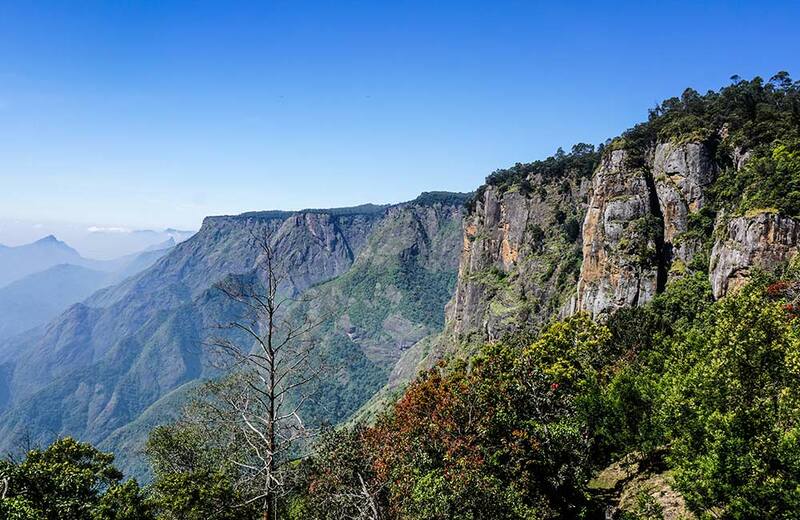 In Tamil, the word Kodaikanal means the Gift of the Forest. True to its name, the entire region is blanketed in greenery with an abundance of grasslands, meadows, and forests while the cascading waterfalls and placid lakes in Kodaikanal make it a memorable holiday destination. Blessed with a salubrious climate, the tourist places in Kodaikanal offer you complete respite from the scorching heat of the plains. The best part is that you won’t encounter a lot of crowd at this place. So, if you are looking for a quiet sojourn, now you know where to head to. Yercaud derives its name from the Yercaud Lake that exists at the center of this town. The cozy destination is located in the Shevaroy Range in the Eastern Ghats. Vast coffee plantations and abundant forests lend the place a greenish hue. The picturesque hill station has many an attraction in its fold, including the Emerald Lake, Shevaroy Temple, Bear’s Point, Anna Park, Killiyur Falls, Pagoda Point, and Botanical Garden. Trekking through this beautiful land is a pleasure in itself as you can encounter many scenic vistas while following the trails. Steeped in history and legend, Vythiri boasts of being one of the most enticing hill stations down the south. Blessed with verdant greenery and pleasant weather, the place attracts tourists all year long. 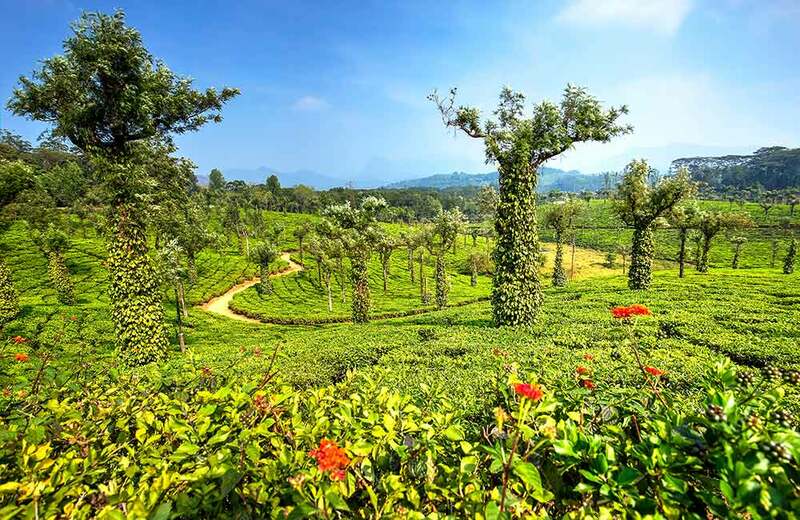 In the first glance, Vythiri may look like any other hill station dotting the southern region, but if you stay there for a few days and take the effort to discover the surroundings, the beauty of the place will start to unravel in many varied forms. The hill station is located in Wayanad District, which again is one of the most-visited summer holiday destinations in Kerala. Flourishing spice plantations lend an attractive stroke to this painting of nature. Adding a unique touch to the place are the tribal communities and their varied traditions. For those of you who want to enjoy a serene holiday in the mountains, there can be no better place than Vythiri. Another beautiful hill station located in the Nilgiri Mountains in the Western Ghats, Bellikkal is located south of the Sigur Plateau. Recreation gets a new meaning at this place where you can simply leave aside your stress and anxieties and enjoy the experience of being in the lap of nature. The most striking aspect of this destination is its serenity. Add to that an ample dose of natural beauty and you have a complete holiday destination on your hands. Bellikkal does not bother you with a hundred attractions or a long must-do touristy list. What it offers is unbridled natural beauty where you can find your inner peace and tranquility. So, if your idea of a holiday is doing nothing but putting your feet up, this is your best bet. When it comes to choosing a weekend getaway near Coimbatore, Coorg is often the first choice of many travelers and for a good reason. The picturesque hill station in the Western Ghats is a misty landscape carpeted with lush valleys against which steep hills make a towering presence. Here and there you can spot a wild stream rushing down with glee. Spice and coffee plantations further enhance the beauty of the place. The perpetually green hill station enjoys a salubrious climate all year long, which is another reason for the visitors to fall in love with this place. 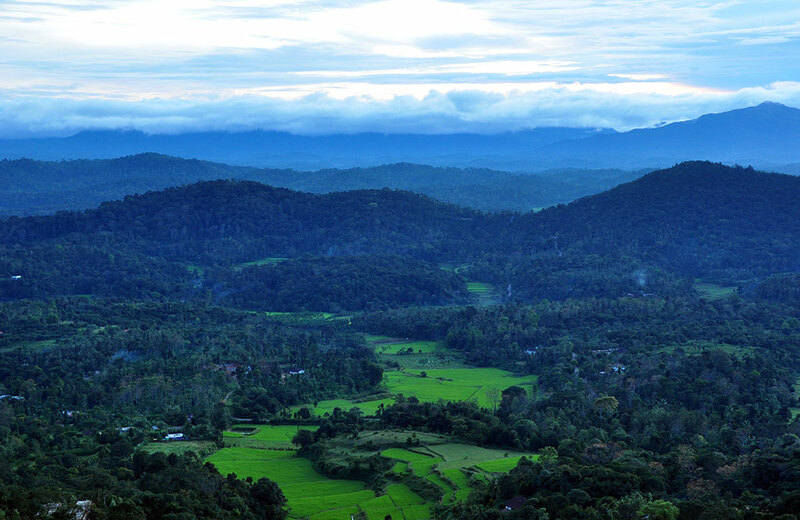 When you are here, you can’t help but appreciate the many attractions Coorg has in store. From historic places like Madikeri Fort and Nalknad Palace to scenic wonders like Chelvara Falls and Abbey Falls, the region has everything to make your holiday a memorable one. As far as holiday activities are concerned, you can put your sneakers on and enjoy a few hours of trekking, rock climbing, river rafting, camping, and plantation walks, to mention a few. The quaint little hill station of Yelagiri dates back to the British colonial days. It was once the private property of the zamindar family of Yelagiri. Today, it is one of the lesser-known hill stations in Tamil Nadu. The place is adorned with sweeping orchards, green valleys, cascading waterfalls, and colorful rose gardens that lend it a unique charm. 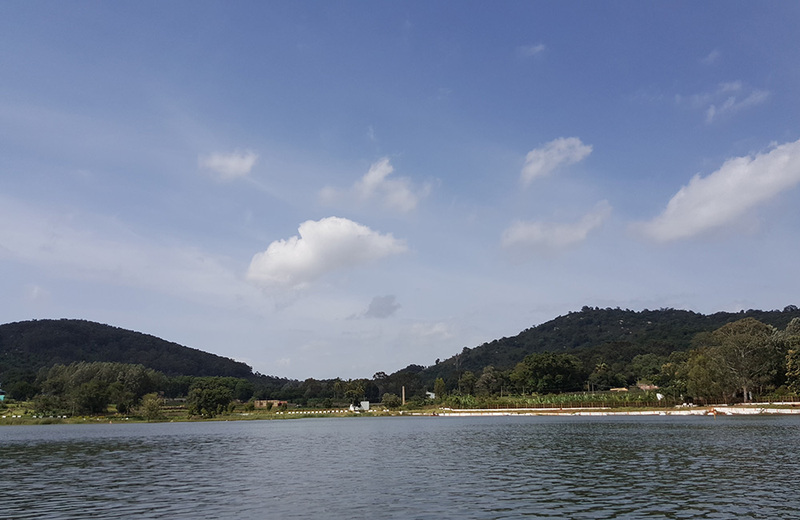 The most attractive feature of Yelagiri is that it exudes a serene vibe which is often missing in the other crowded hill stations. If you have a thing for adventure sports, you can try your hands at paragliding, and rock climbing, among others. It is also a haven for trekkers. The honey produced locally at this hill station counts among the tastiest and purest varieties found in the country. Don’t forget to buy a few bottles and take them back with you as a sweet (literally) souvenir! Imagine waking up to the drifting aroma of coffee in the air even as the twittering of birds herald in a new day. This may seem like a dream if you are a city dweller, but in Chikmagalur, this is how things are. Nestled in the foothills of the Mullayanagiri Range, Chikmagalur is a green paradise that is recognized as the birthplace of coffee in India. 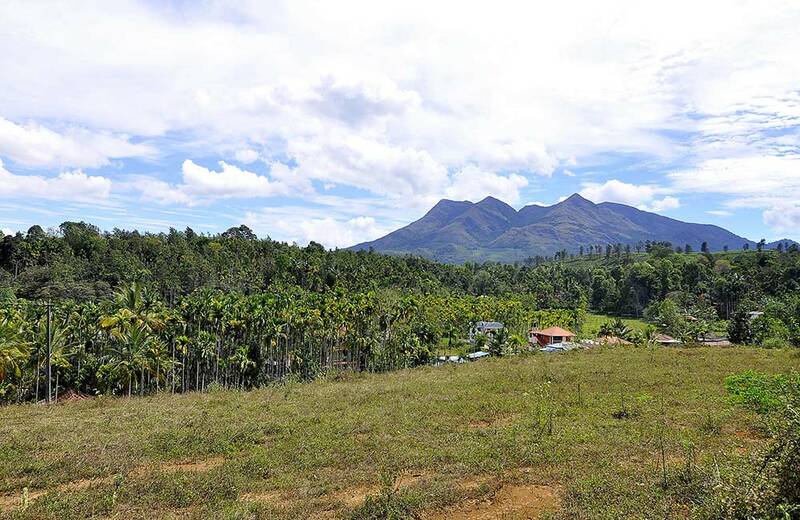 This quaint getaway is an exotic blend of verdant green forests, tall mountains, and pleasant climatic conditions. Not to forget the coffee plantations! But Chikmagalur is not just for the coffee lovers, it is also for the adventure seekers and trekkers. You can find many incredible trekking trails here. It also offers exceptional views of the Babudan Giri Ranges and has several other attractions for the visitors. Whether you are in Coimbatore for work or for leisure, a visit to the hill stations will leave you rejuvenated. And while you are in the city itself, do not miss out on its major attractions, like the beaches near Coimbatore or other tourist attractions. Also, do not forget to get a taste of the incredible cuisine of the land at some of the best restaurants in Coimbatore. If you love to party and have a good time, the pubs in Coimbatore won’t let you complain. So, don’t wait any further! Pack your bags and book your stay in one of the budget hotels in Coimbatore and start exploring this lovely land and its surrounding hill stations. Top 10 Pubs in Bhopal for a Night of Revelry and Fun! Ankit is an avid traveler who follows the mantra of “Work-Save-Travel-Repeat”. When not grinding on his desk job, he is usually found planning his trips to the Himalayas. Ankit is also passionate about technology and fitness, and can be seen surrounded with the latest gadgets, all the time.